When it comes to transmissions in Gainesville, GA, we’re the answer to your problems. You need a dependable and affordable transmission specialist who knows what they’re doing. Trust your vehicle’s transmission to experts with the experience, skills, and knowledge to ensure that it leaves in excellent shape. We are dedicated to excellence in our work and our customer service, which means you’ll get an outstanding repair for a reasonable rate every time. When we say we only hire the best, we mean that our expert technicians can fix any type of transmission in any kind of car. Our professionals repair transmissions in any vehicle make or model. From domestic pickup trucks to fancy foreign sports cars, we’re qualified to repair them all. 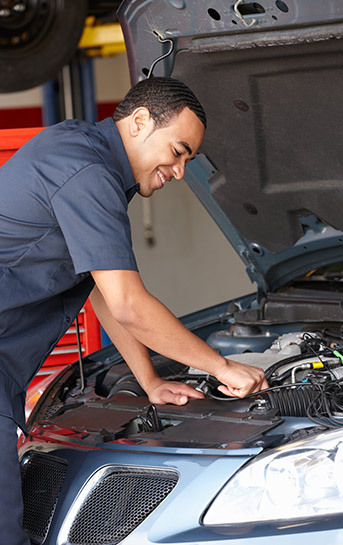 Each mechanic is fully trained and experienced in this highly specialized area of auto repair, and that means there’s no job we can’t handle. 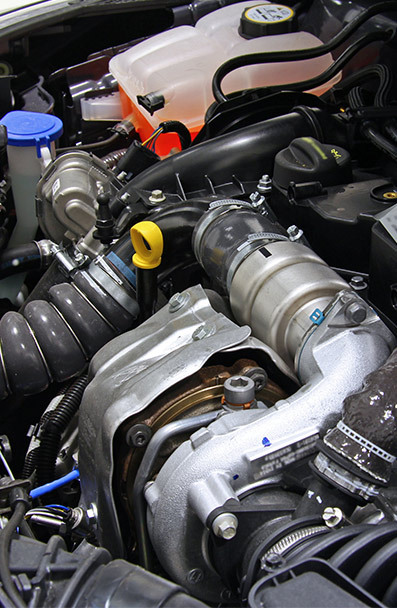 The mechanics at our shop are also full prepared to take on a manual or automatic transmission repair. They are highly skilled at conducting accurate and thorough inspections, which in turn enables them to complete the proper repairs, or recommend a rebuild when necessary. Using only superior parts, we can ensure your car shifts smoothly and operates properly, no matter where it was made or where it needs to take you. There aren’t any shortcuts to quality transmission rebuilds and repairs. Since 1977, however, our dedicated team has helped vehicle owners in the local community get where they need to go for affordable rates. Our technicians understand how important it is for you to have a reliable vehicle, and well-maintained transmissions are a primary element of that reliability and peace of mind. That’s why we ensure our transmission repairs and rebuilds are done properly, with quality workmanship, each and every time. In keeping with our dedication to excellence, we also specialize in high-performance transmissions. Whether you drive a racecar or your own personal vehicle, our specialists can help you enhance the performance of your automobile. With high-performance transmissions, cars can go much faster on the highway or the racetrack. Our expert technicians deliver improved performance on any make or model of vehicle you drive. We have the skills and experience to make custom, high-performance modifications that result in a dramatic difference. However, transmission problems can also happen to car owners who diligently take care of their vehicles. Design flaws or component failures can potentially create big problems. Whatever the reason for your vehicle’s issues, our certified technicians can determine the best course of action to get it back in ship-shape condition. We minimize trouble for the future and do the kind of work that will keep your transmission in good shape for years to come. We also do high-performance modifications – from the ground up. Perhaps you would like to build your racecar from start to finish, and have control over every aspect of the modification. Our transmission experts can help make this dream come true. Talk to us about what you want to achieve, and we’ll work with you to make it happen. We know how to improve vehicle speed, performance, and handling. We also upgrade transmissions for vehicles from sports cars to trucks, turning them into high-performance machines you can look forward to driving every day. You can trust our team to rebuild more than your transmission. Every customer is important to us, and we want to build a long-term relationship with each person. The team is always ready and willing to help, even if the repair job is finished. In the unlikely event that the problems persist after your repair work is completed, you have the advantage of the warranty options on your side. We’re so confident in our repair services that we offer remarkably competitive warranties. We look forward to meeting new customers, but we also look forward to seeing them back on the road for a while. Moreover, we’re willing to back our big talk with the warranties you can’t get at some other shops. 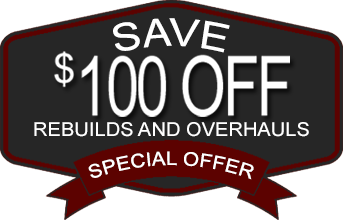 We also offer a $100 discount on rebuilds and overhauls. Place your trust in the quality of our expert work. We ensure that your vehicle runs smoothly for the long haul. Whether you drive a racecar or your own personal vehicle, our transmission specialist can help you enhance the performance of your automobile. With high-performance transmissions, cars can go much faster on the highway or the racetrack. Our expert technicians deliver improved performance on any make or model of vehicle you drive. We have the skills and experience to make custom, high-performance modifications that result in a dramatic difference. Perhaps you would like to build your racecar from the ground up. Our transmission experts help make this dream come true. Talk to us about what you want to achieve, and we’ll work with you to make it happen. We know how to improve vehicle speed, performance, and handling. 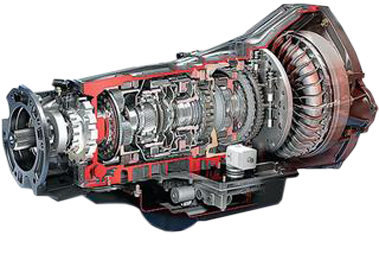 In addition, we upgrade transmission for all cars and trucks to make them high-performing fast machines! If you need your transmission rebuilt or repaired, contact us to find out how you can get $100 off the cost! We serve residents of Gainesville, Buford, Suwanee, Lawrenceville, and Flowery Branch, GA, plus the surrounding areas.